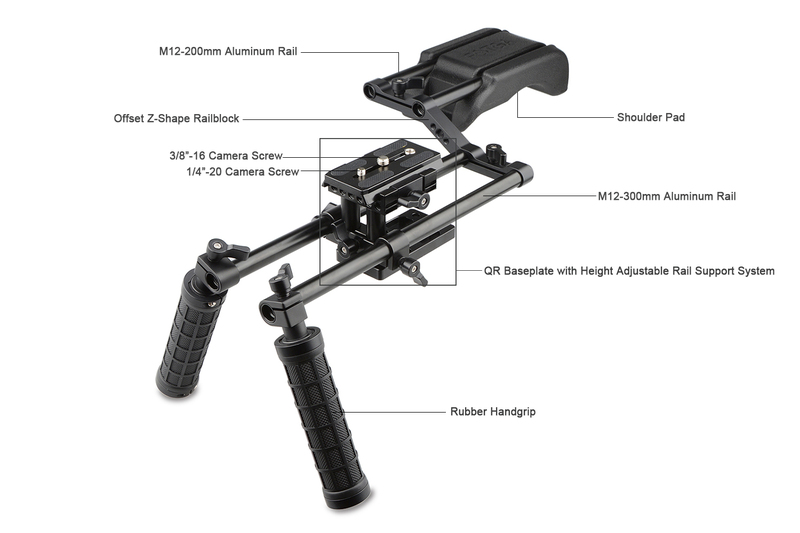 DSLR Shoulder Pad: Made of sponge rubber,very comfortable. 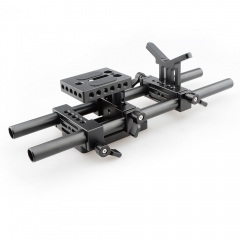 Camera Base Plate with 15mm Railblock: Comes with 1/4"-20 camera mounting screw that is easy to tighten the camera. 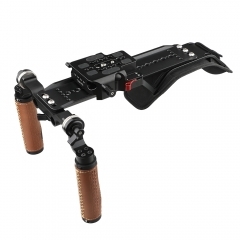 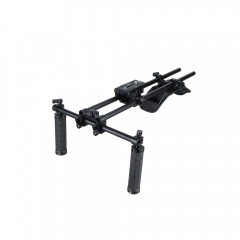 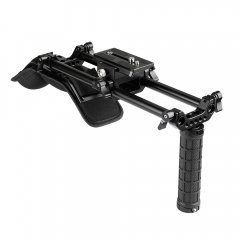 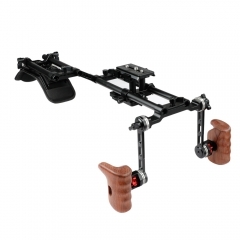 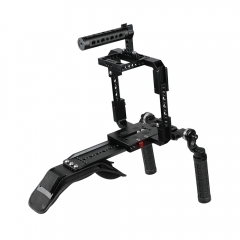 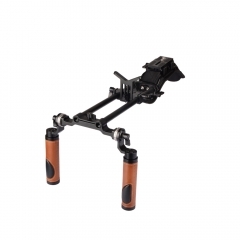 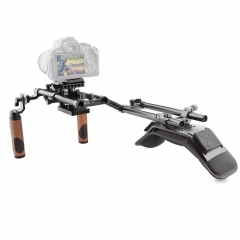 Mounting Plate with 15mm Rod Clamp is an aluminum plate with 15mm rod clamp for camera mounting, which supplies protective and stable mounting options to camera devices. 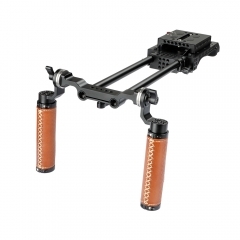 Handle Grips: Made of aluminum,convered with rubber, antiskid safety design; Comes with a standard 15mm single rod clamp.